You may already know that my husband is a techie-geek (not nerd, because that has social connotations). What you may not know is that I am also one. 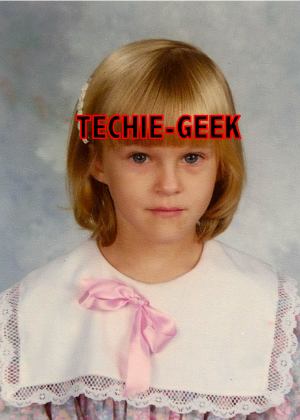 Hi, my name is CaseyJane and I’m a techie-geek. I used to be an avid-anything-but-Apple user until my first teaching job required me to make the leap. Since then, I have become an Apple snob. No, more like SNOB! All caps SNOB! All of my personal computers (and devices, and geek tools) are Apple products. It just so happens that my school technology is … well… all Apple stuff, too! It makes my computer-tired eyes pop out when I see that pic. I mean, my hands touch every one of those devices just about every day. Hi, my name is CaseyJane and I’m a techie-geek-ADDICT. I’ve also started the whole blog thing. It is amazing to me how quickly technology moves and just how easily you can be left behind. So I have decided to reach into the future of technology and teaching. I am going to teach myself how to write code! Yikes. Big yikes. I’m way nervous and beyond excited. So I confess my newest project to the hubby-man and he is over the moon. To make a long story longer- it was then that we started doing a bit of research about teaching code to children. England has made serious strides in accepting programming/code as part of the required curriculum for all children (yes, as early as age 5)! Check out this article about education reform starting in September 2014. Not to mention they are following in the footsteps of schools in Estonia. Check out this 3 minute BBC clip. I believe technology is the future of teaching. Haven’t we all heard that the jobs our students will have will almost certainly require technology skills... and that most of those jobs haven’t been invented yet? I have become a backer. I never thought I would be… an investor! What does this have to do with teaching and technology? Hello Ruby is a book by Linda Liukas… well, it’s not a completed book yet. She’s working on a book that explains what programming and code writing are and how technology can go deeper than just interacting with an app or program. Her book will be aimed at children ages 4-7. You can choose to be a backer yourself! Or you can check back here in the fall when I do a Hello Ruby giveaway! I know, this is a smidge bit untraditional when it comes to giveaways… announce it now and not select a winner for months… but she hasn’t published the book yet. Be patient!